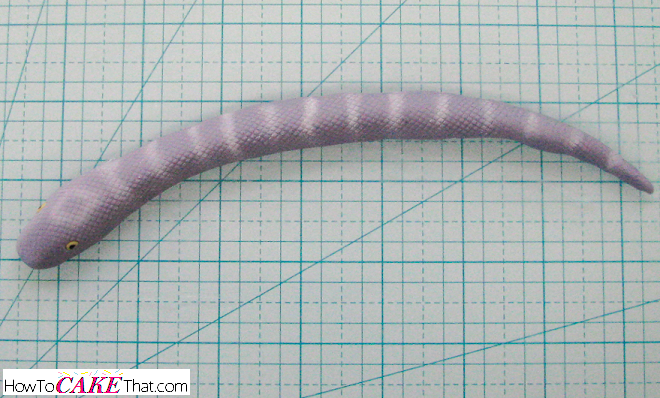 For this tutorial, I will be making a snake. 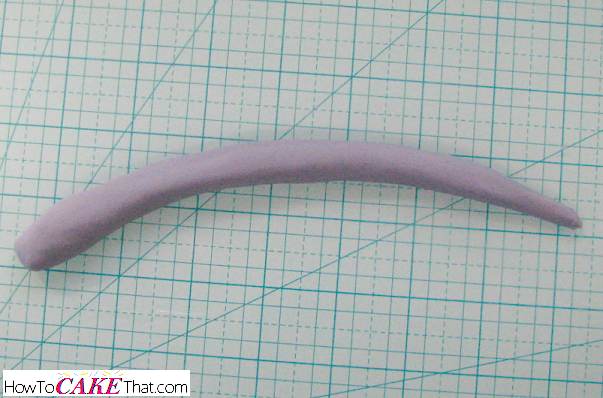 First, shape the fondant into a snake shape. Now for the tool that will give the snake its scaly appearance... it's netting! To get nice defined snake scales, be sure to use a good quality thick netting - the netting I'm using is good quality fabric netting from my local fabric store. Craft store tulle may work, but it is thinner than fabric netting and may not show up as well. 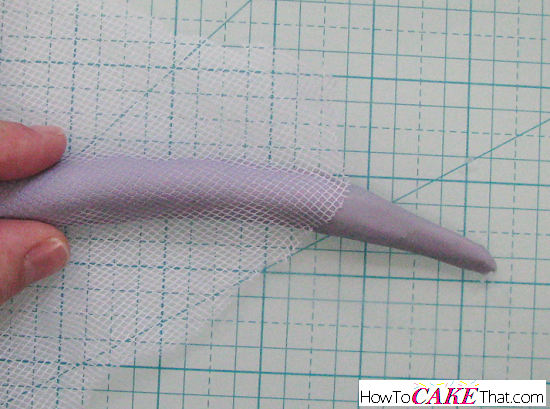 Place the netting over the fondant and press the netting down on both sides of the snake until the netting has sunken into the fondant. Pull away netting to reveal perfect snake skin! Use your fingers to gently reshape the fondant if needed. Repeat steps until snake is fully covered. And that's how you make easy snake skin! 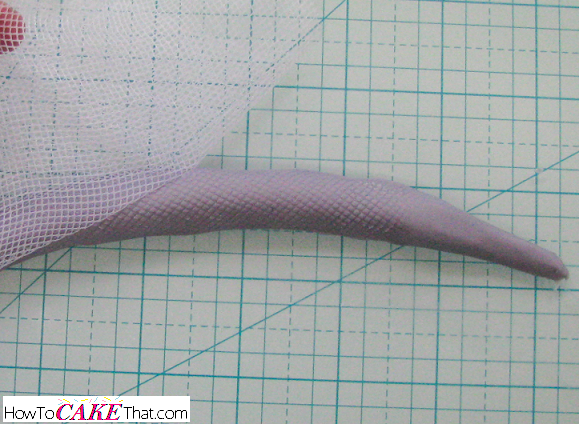 For larger projects, like a cake made to look like a snake, just use larger netting! I hope you have enjoyed this tutorial! God bless!